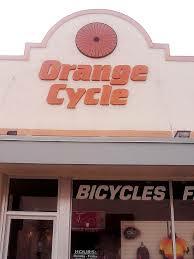 BWCF is rolling forward thanks to the generous friends at Orange Cycle! Thanks to Orange Cycle, the BWCF team can continue moving forward with its mission of promoting bike and ped safety, complete street policies and the development and maintenance of trails all in the name of good health and fun. So, next time you’re visiting Orange Cycle, give our friends a big shout out of thanks from all the bikers and walkers in Central Florida. Thank you Orange Cycle!